(Charlottetown, P.E.I.) 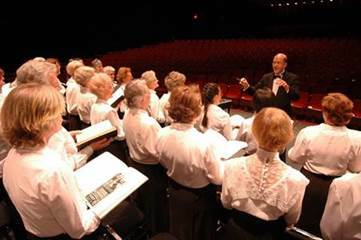 – Confederation Centre’s adult choir, the Confederation Singers, present the annual Choral Music on a Holy Day on Good Friday, March 30 at 7:00 p.m. at Trinity United Church. Under the direction of Donald Fraser, the Singers will perform a stirring selection of music of the greatest French composers. The headline work is Louis Vierne’s Solemn Mass, and complimenting this epic piece will be two movements from the Gabriel FauréRequiem. Rounding out the evening will be the Fauré Cantique de Jean Racine, the Ave Verum of Camille Saint-Saens, and the beautiful Panis Angelicus of Québec City composer, Antoine Dessane. The organ accompanist is Frances McBurnie. The Choral Music Programme is sponsored by Maritime Electric. Confederation Centre also thanks the Department of Canadian Heritage; the Government of P.E.I., through the Department of Education, Early Learning, and Culture; and the City of Charlottetown for their continued support. Media sponsors are The Guardian, Hot 105.5, and Ocean 100. Photo cutline: Choral Music on a Holy Day, featuring the Confederation Singers and special guests, takes place at Trinity United Church in Charlottetown on Good Friday, March 30, at 7:00 p.m. (submitted photo).